Originally, the Guardian Knight Cola was already a huge headache due to his high HP and Defense, and Dark Star's players exerted quite a lot of effort in order to reduce his HP by over half. Yet, in the next moment, he was now back to full health. South Wolf nearly popped a vein when he witnessed this scene. Although Cola was an MT, the damage he dealt was not one bit low; a casual slash from his sword could deal around -300 to -400 damage to Dark Star's Shield Warriors. If Cola used a skill, he could even deal -500 to -600 damage—which was even higher than that of the Berserkers of Dark Star. Moreover, Cola could tank four Berserkers simultaneously, all by himself, and he even managed to send them flying back. Meanwhile, such a Boss ranked MT was now immortal due to a single Cleric from Zero Wing. However, this still was not the end of South Wolf's headache. The MTs in his team were relatively high-ranking MTs in White River City. But… But… the two Berserkers named Lonely Snow and Water Buffalo still sliced them up in no time. For example, one of the Guardian Knights of Dark Star had come under the combined a.s.sault of the two Berserkers. At first, the Guardian Knight had received two normal attacks from the Berserkers. Unfortunately, both attacks had achieved a critical hit, with Lonely Snow dealing over -1,400 damage and Water Buffalo dealing over -1,300 damage. Without leaving any gaps, the two then followed up with Beheaded, both of their skills dealing over -1,000 damage each. As a result, even though the Guardian Knight had two healers focusing on him, his 3,000 HP was still reaped away within an instant. Meanwhile, Fire Dance was even more amazing than the two Berserkers. After dishing out a flurry of attacks, she followed up with a 7-star Eviscerate that achieved a critical hit, dealing over -2,300 damage. Within moments, one more Guardian Knight of Dark Star died. South Wolf had even begun to suspect that the members of Zero Wing were no longer playing the same game Dark Star's players were. After all, whether it was Zero Wing's MT, healer, or DPS, all of them were so powerful. On the other hand, the players of Dark Star were like paper, dying from just a touch. With merely a brief exchange, South Wolf's team had already lost nine members. It should be known that all these players were core members of Dark Star; they were not random noobs that could be found anywhere on the streets of White River City. Each and every one of them was a skilled player and they all had a good sense for battle. Although they were not comparable to experts, neither were they far from one. Yet, even so, these elite players still died with barely any resistance. As the battle continued, the players from Dark Star grew more and more frightened. They had yet to kill a single player of Zero Wing, even until now. This was definitely a huge psychological blow to the elites of Dark Star. "Don't panic! We outnumber them thrice over! a.s.sa.s.sins and Rangers, take out their healers first! As long as the healers are dead, the others will soon follow, even if their combat power is superior!" South Wolf was no idiot, and he immediately sought to utilize Dark Star's advantage. Zerg tactics. It was the easiest tactic for obtaining victory in any virtual reality game. As South Wolf had the numerical advantage, he could afford to divide his troops into two groups: one to pin down the enemy forces, and another to circle around and strike at the enemy's weak point. Very quickly, over twenty a.s.sa.s.sins and Rangers from Dark Star flanked Zero Wing's forces and immediately charged towards Violet Cloud's group of five healers. Contrary to expectations, however, even when Violet Cloud's group noticed Dark Star's players charging towards them, none of them chose to run away. Instead, they continued healing their allies at the front, paying no attention to their attackers at all. In regard to the healers' lack of reaction, Dark Star's players did not give it too much thought. They simply continued charging forward, having concluded that Zero Wing's healers had already given up on escaping. When there was only a short distance of eight yards between the a.s.sa.s.sins and Violet Cloud's group, an Intermediate Frost Grenade suddenly landed, exploding in the midst of the a.s.sa.s.sins. Dark Star's Rangers, who stood 30 yards away, also received an Intermediate Frost Grenade of their own. In the blink of an eye, both groups were frozen solid. A damage of -400 also appeared above each of their heads. Although the eight a.s.sa.s.sins immediately used Vanish to escape the freezing effect, they were still unable to advance as an Ice Wall appeared, blocking the path between them and Violet Cloud's group. 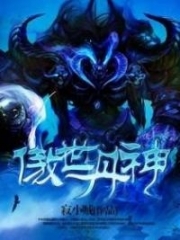 Meanwhile, the person responsible for casting this Ice Wall was one of the Five Demon Generals that Shi Feng had recruited, Ice Queen Su Qianliu. Ice Wall was the perfect skill for this scenario. Without magic immunity, if the a.s.sa.s.sins were to charge into the Ice Wall, their Movement Speeds would slow to a crawl. At that time, their fates would be as good as sealed. Although Ice Wall had a short duration of only two to three seconds, it still provided the healers with a brief, but important, moment of respite. As for the Rangers of Dark Star, none of them had any skills that could be used to dispel the effects of control skills, and neither did any of them possess any lifesaving skills. Hence, they could do nothing but stand there and watch. At this moment, Shi Feng used Silent Steps and suddenly appeared behind these frozen Rangers. 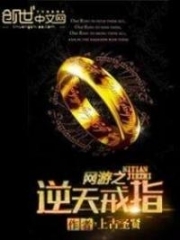 To Shi Feng, a group of immobile players was entirely negligible. 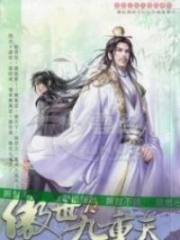 Shi Feng was currently at Level 23. He was also equipped with the newly acquired Seven Luminaries Ring, and had recently received the Golden Stigmata. His overall Attributes surpa.s.sed these elite players manyfold. 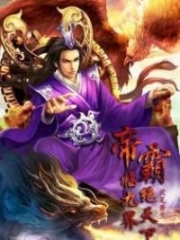 Moreover, Shi Feng currently had the Aura of Fire activated, the aura effect increasing his damage by 30% while also reducing his target's Defense by 30%. 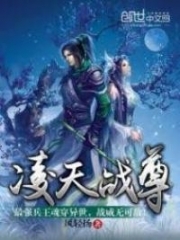 Immediately, Shi Feng sent a Level 8 Thundering Flash at the group of Rangers. Green arcs of lightning crackled as they instantly pierced the bodies of these Rangers. Damages of -1,102, -1,528, and -2,140 appeared above each of the twelve Rangers' heads. Although none of Shi Feng's attacks had achieved a critical hit, these Rangers had only around 2,000 HP. Meanwhile, Shi Feng's Thundering Flash had dealt more than -4,700 damage in total, far surpa.s.sing the Rangers' maximum HP. The members of Dark Star saw Shi Feng killing all those Rangers with a single strike. Each and every one of the witnesses was completely dumbfounded, their jaw hanging wide open. South Wolf nearly had his eyes pop out of their own sockets. The twelve Rangers simultaneously collapsed to the ground, their actions in complete unison. In the next moment, piles of weapons and equipment were scattered around their bodies. In this chaotic battlefield, this scene was both striking and shocking. The twelve Rangers were all either Level 18 or Level 19 players. Most of the equipment they used was also Level 15 Mysterious-Iron Equipment, and every one of them had more than 2,000 HP. Yet… they were killed off so easily. Moreover, it wasn't just one person that got killed but an entire group. For a moment, South Wolf believed that he was dreaming. He even considered giving one of his subordinates a slap and then asking said subordinate if it hurt, to confirm whether or not this was a dream. With the number of murders they had committed so far, if they died as well, not only would they lose two to three levels, they would even lose all the equipment on their bodies! Watching from a distance, Blackie was similarly astonished by the instant deaths of the twelve elite players. 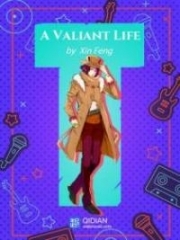 However, he had long since grown inured to Shi Feng's horror-inducing feats, so he quickly regained his composure and threw a Basic Frost Grenade at the still-dazed a.s.sa.s.sins of Dark Star, freezing them once more. This time, none of the a.s.sa.s.sins could use Vanish to remove the freezing effect on them. Hence, they could only obediently stay frozen. Following which, Blackie chanted an incantation and used h.e.l.l Flame. One could easily imagine the might of a h.e.l.l Flame that was powered by the Epic ranked staff Mavis's Guard. Damages of over -1,000 points immediately appeared above these a.s.sa.s.sins' heads, and within three seconds, all of these a.s.sa.s.sins turned into ashes, leaving behind a pile of shining weapons and equipment. 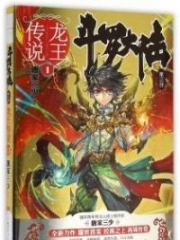 After Shi Feng had dealt with Dark Star's Rangers, he then cast Firestorm, the activatable skill of the Aura of Fire, at the heart of the battlefield. Inflicts 500% damage within a range of 10*10 yards for 5 seconds. In terms of damage, Firestorm did not lose out to Stars of Light by much. However, it had a much smaller effective range. Currently, Cola was surrounded by plenty of Dark Star's elite players. Before anyone could react, a storm of flames suddenly emerged above them, and the HP of all of Dark Star's players within 10 yards of Cola fell at a crazy rate. 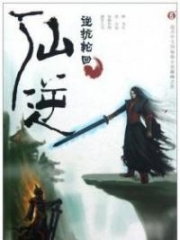 Although Shield Warriors and Guardian Knights were cla.s.ses with high HP and Defense, Shi Feng's equipment was simply too amazing, which resulted in his current Attack Power being well over 800 points. With such a high base value, even though the Shield Warriors and Guardian Knights of Dark Star possessed plenty of damage reduction items, they still received more than -2,000 DPS. As for the other cla.s.ses, they received more than -3,000 DPS. 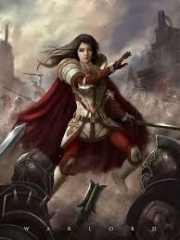 Even when the Shield Warriors and Guardian Knights activated their lifesaving skills, which allowed them to halve the damage they received, they still could not avoid death. After Firestorm ended, all of Dark Star's players caught within its effective range were reduced to cinders. Only Cola and the other frontline members of Zero Wing remained alive; Dark Star's forty or so frontline players had died. All of a sudden, Zero Wing's side outnumbered Dark Star's. "Black Flame, why are you here?" South Wolf instantly recognized the person responsible for killing the majority of Dark Star's players. At this moment, South Wolf's eyes were filled with incomparable shock as his trembling finger pointed at Shi Feng's crimson red name. South Wolf failed to understand why Black Flame would appear at this place. He also could not understand why Black Flame was so powerful. Wasn't Black Flame just a forger? Originally, there had been a huge numerical difference between the two sides. However, in the blink of an eye, a strategic change occurred, all because of Black Flame's fleeting blow. Dark Star was no match for Zero Wing even when Dark Star had the advantage of numbers. Now that the situation was reversed, the end result was obvious. Uh, if you play Dota/ Dota2, no further explanations are needed. If you don't play Dota, this is a skill belonging to one of the Heroes in the game, Invoker. Although Ice Wall is an actual wall of ice, it is not a pathing blocker (determined by the game developers), and any unit can pa.s.s through it. However, those who touch the Ice Wall summoned will have their Movement Speeds slowed significantly. 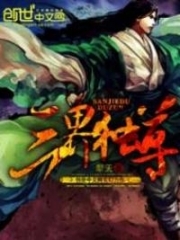 You're Read Reincarnation Of The Strongest Sword God Chapter 310 online at NovelOnlineFull.com. You can use the follow function to bookmark your favorite novel ( Only for registered users ). If you find any errors ( can't read,broken links, can't load photos, etc.. ), Please let us know so we can fix it as soon as possible. And when you start a conversation or debate about a certain topic with other people, please do not offend them just because you don't like their opinions. You're reading Reincarnation Of The Strongest Sword God. This manga has been translated by Updating. Author(s): Lucky Cat. Already has 4922 views. Current Time is 25-Apr-2019 04:56:47 AM.